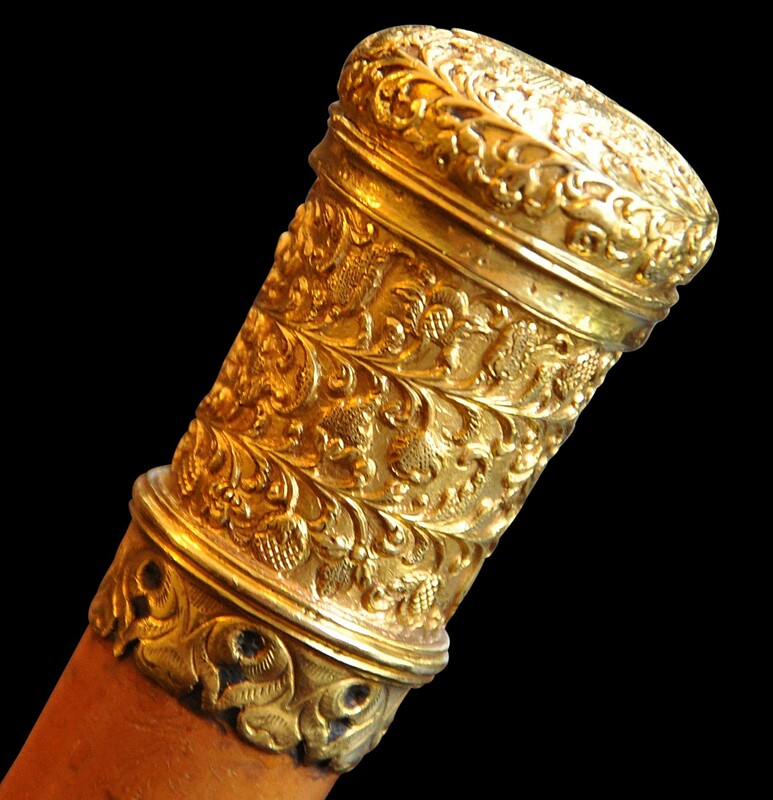 Surviving examples of Dutch colonial 17th and 18th century gold from Batavia and Sri Lanka are exceptionally rare. 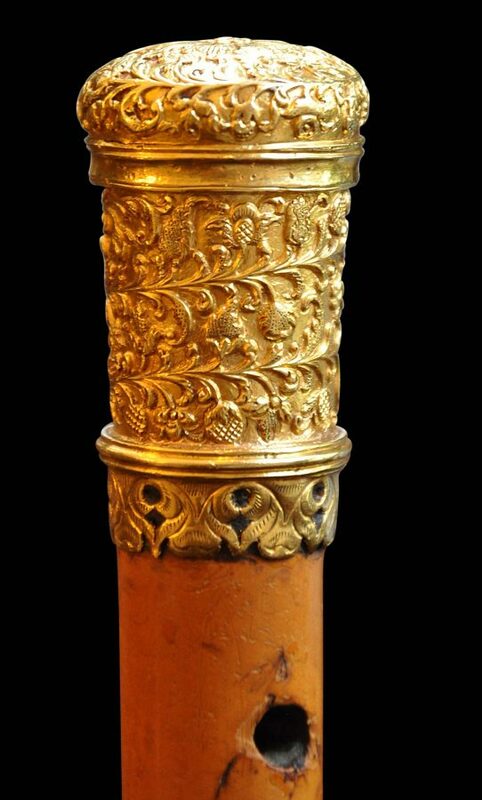 This is the only example of a gold cane top from this period of which we are aware. The work is exceptionally fine, perhaps far finer than captured in the photographs here. 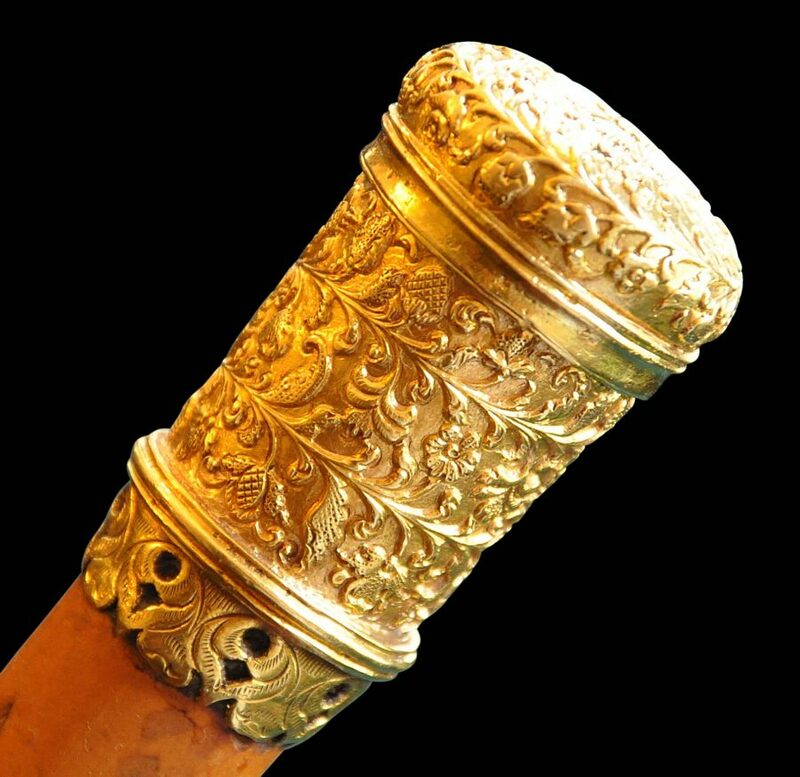 The top is of solid gold, very finely chased around the sides with scrolling vines from which radiate fine fruits and flowers arrayed in an almost geometric pattern. 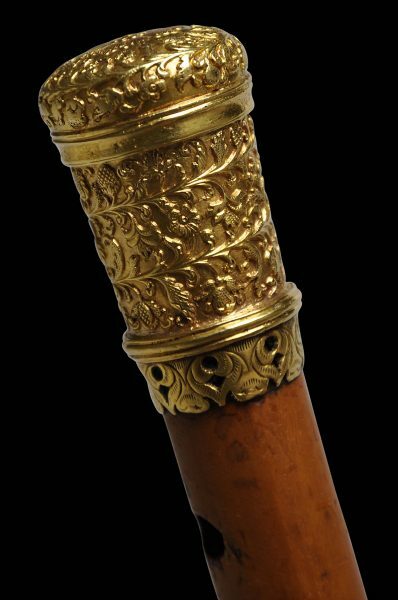 This pattern is similar to published examples of gold and silverwork attributed to seventeenth century Batavia and possibly Sri Lanka (Ceylon). The closest example of related gold work is a celebrated pair of gold and coconut flasks now in The Netherlands and illustrated in Wassing-Visser (1995, p. 38) and in silver, a water sprinkler also illustrated in Wassing-Visser (p. 78). 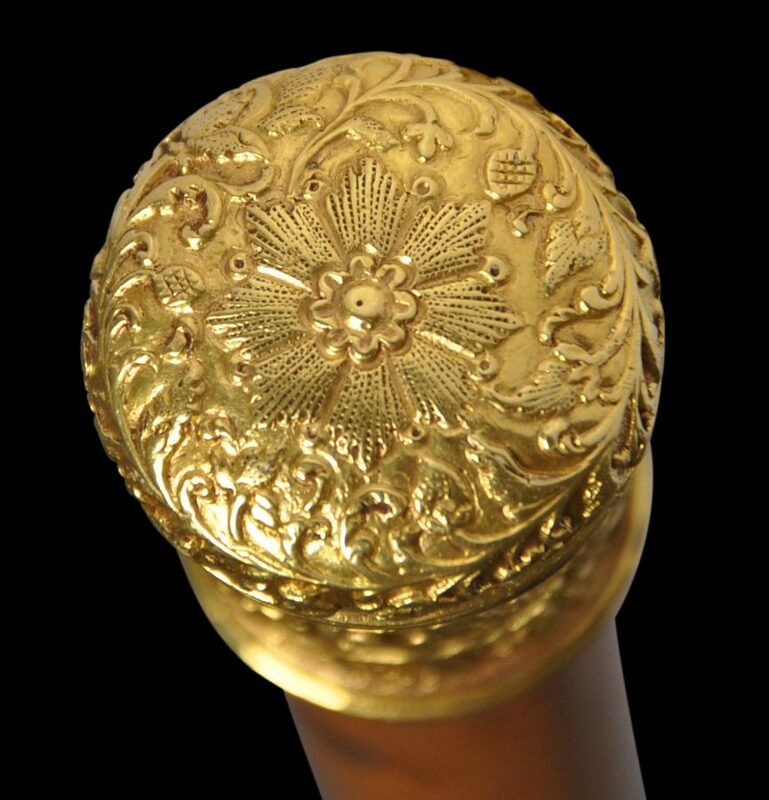 The top of the gold knob is engraved with a fine sunflower motif. The lower rim of the top is decorated with a pierced foliate border. 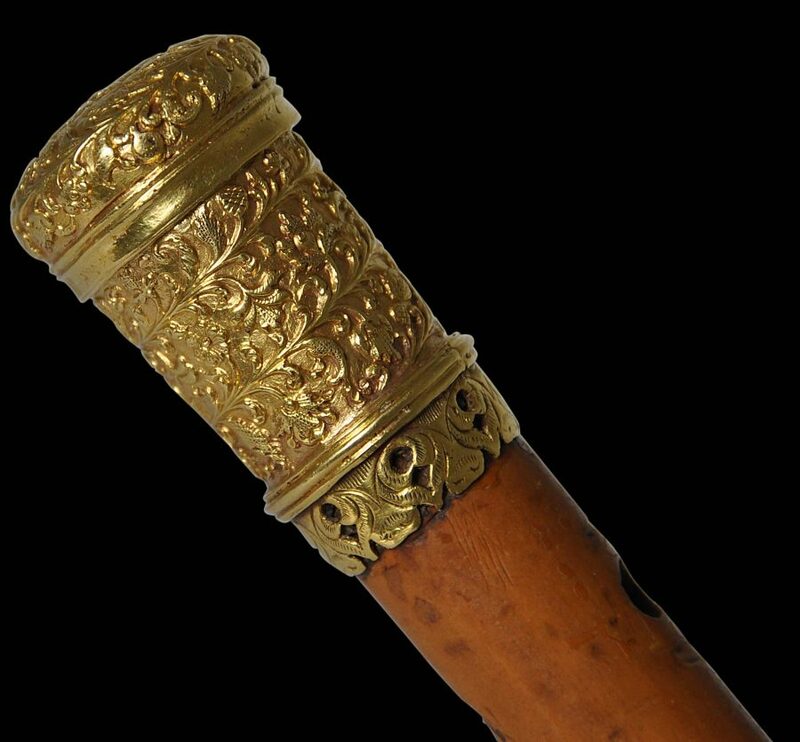 The top is attached to a pale Malacca cane drilled with a single hole through which a leather loop would have been tied. 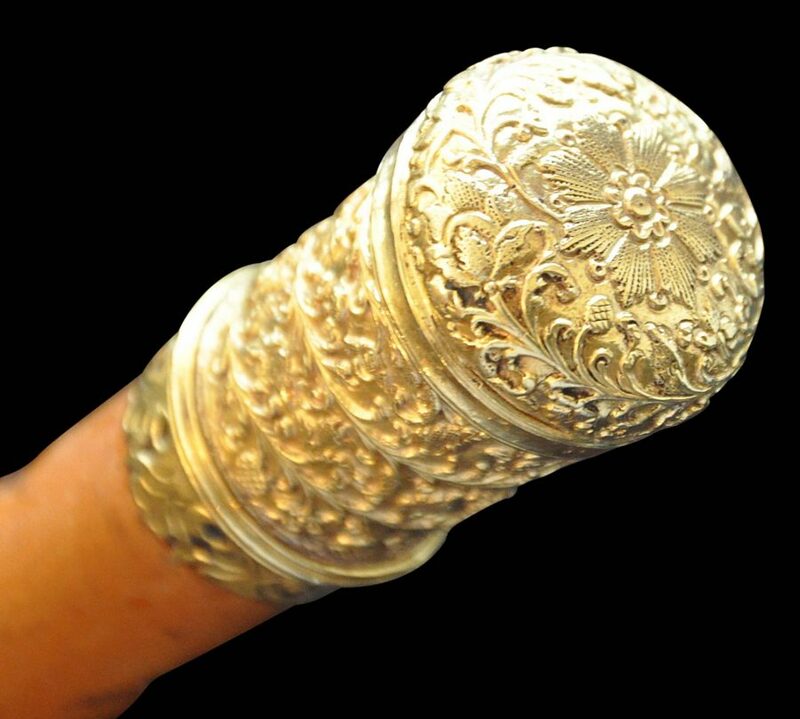 The other end of the cane has a white metal casing. See here for a possibly related gold-tipped cane said to have been looted in 1799 from Tipu Sultan’s Palace at Seringapatam, South India that is now in the Victoria & Albert Museum. 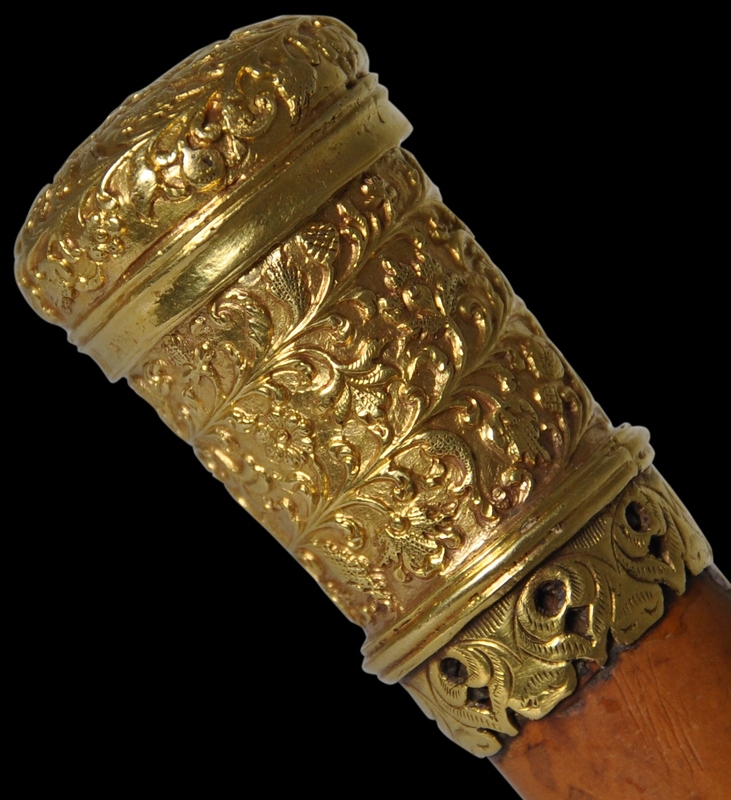 The gold top and cane are in excellent condition; the gold top is in especially fine condition without splits, losses or repairs. The chasing work remains crisp and with little wear. There are no obvious maker’s marks. 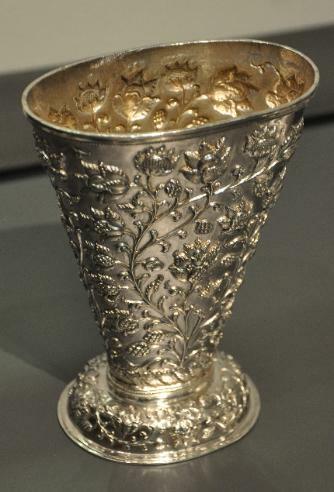 A silver sirih leaf (betel) container, Batavia, 17th-18th century on display in Amsterdam’s Rijksmuseum, which is repoussed with similar flower and fruit motifs as in the gold cane top here.